Dickinson has presented Mark Ruffalo—award-winning actor and environmental activist—with the Sam Rose ’58 and Julie Walters Prize at Dickinson College for Global Environmental Activism. 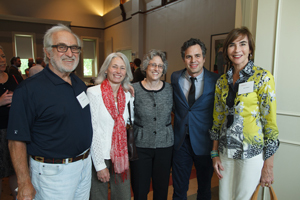 Ruffalo had words of inspiration for graduates at Commencement 2015 and returns to campus in early October for the Rose-Walters residency. While in Carlisle, Ruffalo will be engaging students across topics and across campus, taking part in discussions with interns from the Center for Sustainability Education, the student workers of ALLARM, residents of the Treehouse and a group of student-leaders to explore Dickinson's initiatives in sustainability. 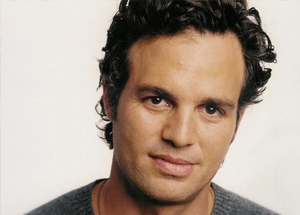 With nearly a dozen events scheduled with students and faculty, and the campuswide event An Evening With Mark Ruffalo (see below), students and Ruffalo will be inspiring one another in countless ways. "An Evening with Mark Ruffalo"
As a part of Mark Ruffalo’s residency, Dickinson is proud to host “An Evening With Mark Ruffalo” on Oct. 5 at 7 p.m. in the Anita Tuvin Schlechter auditorium (ATS). The event is currently sold out. For those who couldn’t get a ticket but still want to see Mark Ruffalo, the college will be live-streaming the event in Althouse 106 and Dana 110 beginning at 7 p.m. Seats will be available on a first-come, first-served basis, and doors open at 6:15 p.m. You can also follow the action on social media using #dsonRuffalo. 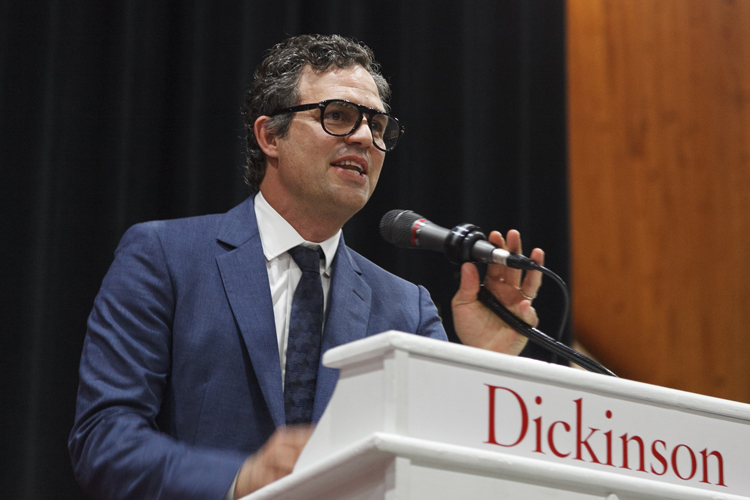 Dickinson presented Mark Ruffalo, the award-winning actor, director and advocate for addressing climate change and increasing renewable energy, with the Sam Rose ’58 and Julie Walters Prize at Dickinson College for Global Environmental Activism. The Sam Rose ’58 and Julie Walters Prize at Dickinson College for Global Environmental Activism awards $100,000 each year at Commencement to its recipient, who returns to campus for a short residency during the academic year. 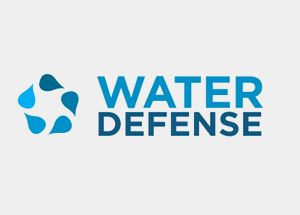 Water Defense is a 501(c)3 nonprofit organization dedicated to clean water. Its mission is to use technology and public engagement to keep waterways and drinking water sources free from contamination and industrial degradation.